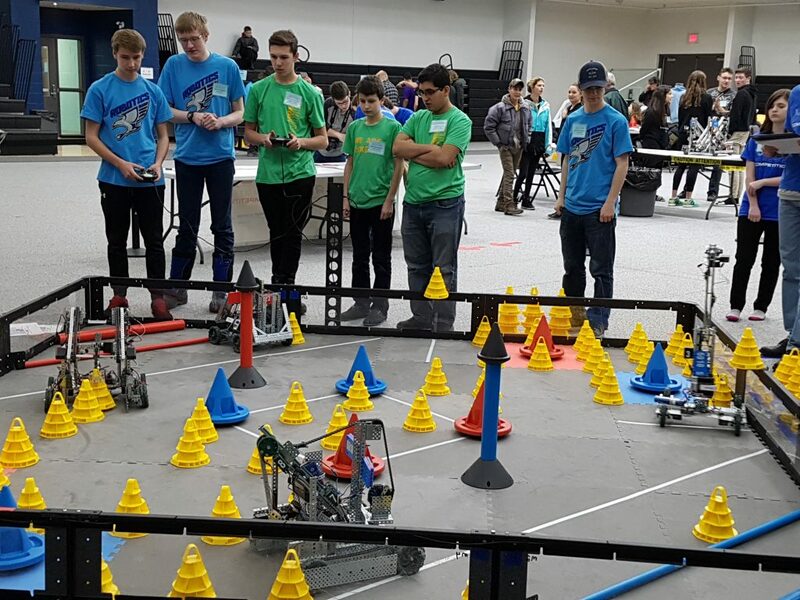 This past weekend, the Lockerby Robotics team participated in its first ever robotics competition in Sault Ste Marie. 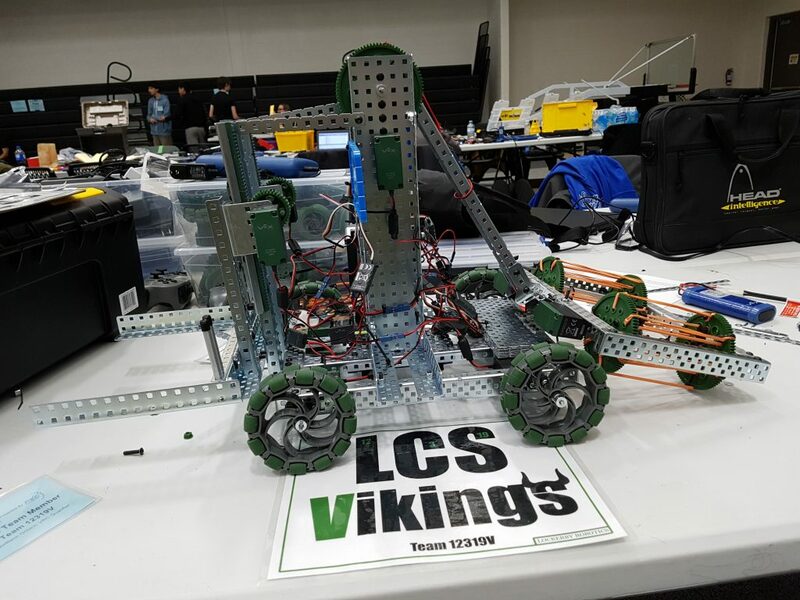 They participated in the Northern Ontario Vex Robotics Competition as Team 12-3-19V (12=L, 3=C, 19=S, V is for Vikings). Their robot’s name is Viking III which follows NASA’s Viking I and Viking II space missions from the late 1970s (ha ha). Upon arrival, Viking III was experiencing difficulties with one of its lifting mechanisms binding and not functioning properly. That entire part of the robot had to be redesigned and rebuilt taking the team into the late hours of the night. 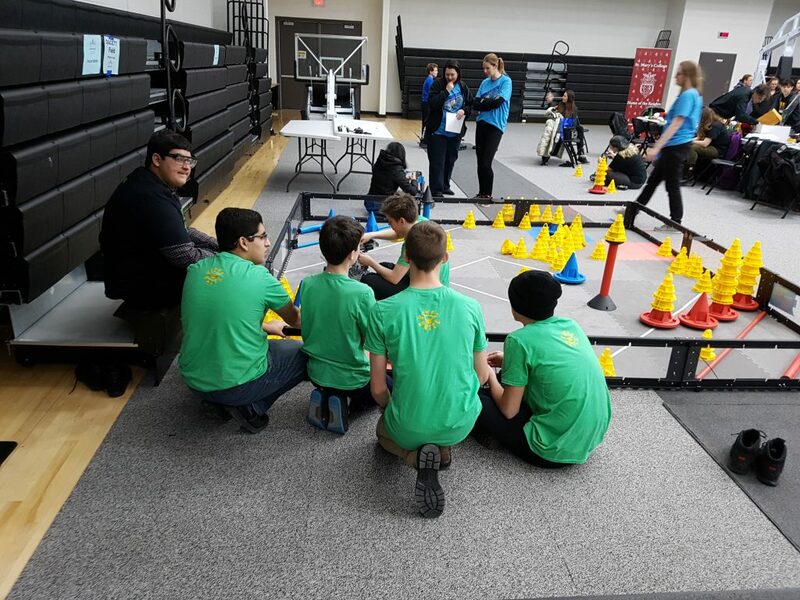 On competition day, despite several setbacks during the qualification rounds, the team managed to score consistently enough to get chosen to partner up with the top alliance led by the famous Lone Wolf Robotics out of Sault Ste Marie. 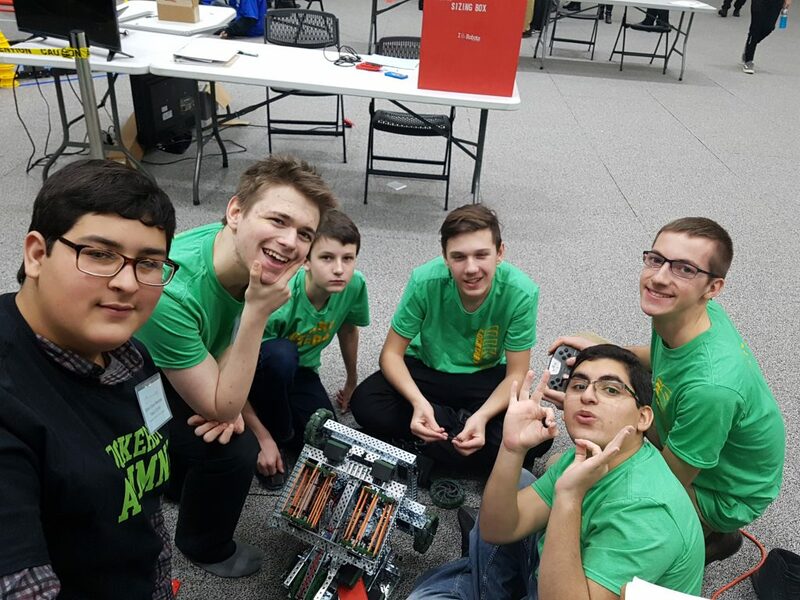 The alliance won both the semi-final and final round and the teams were crowned Tournament Champions. 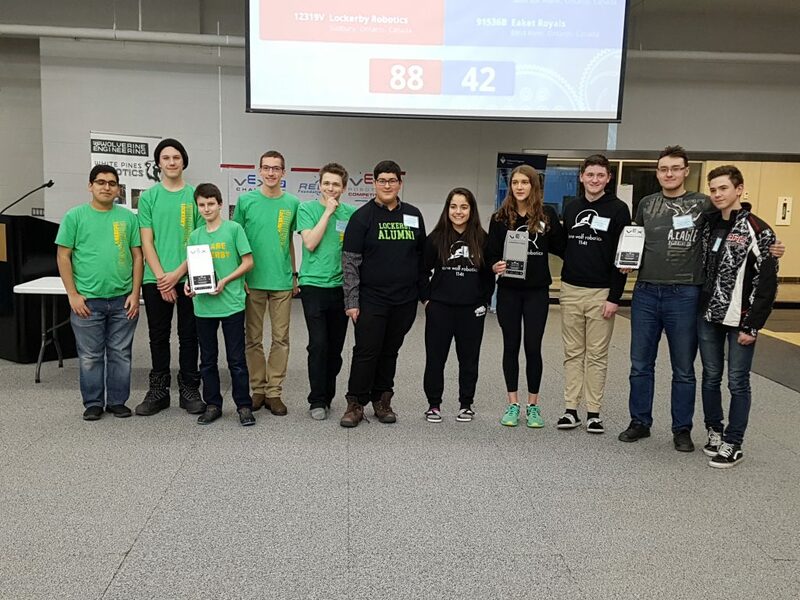 Lockerby’s team was also awarded the Teamwork trophy. 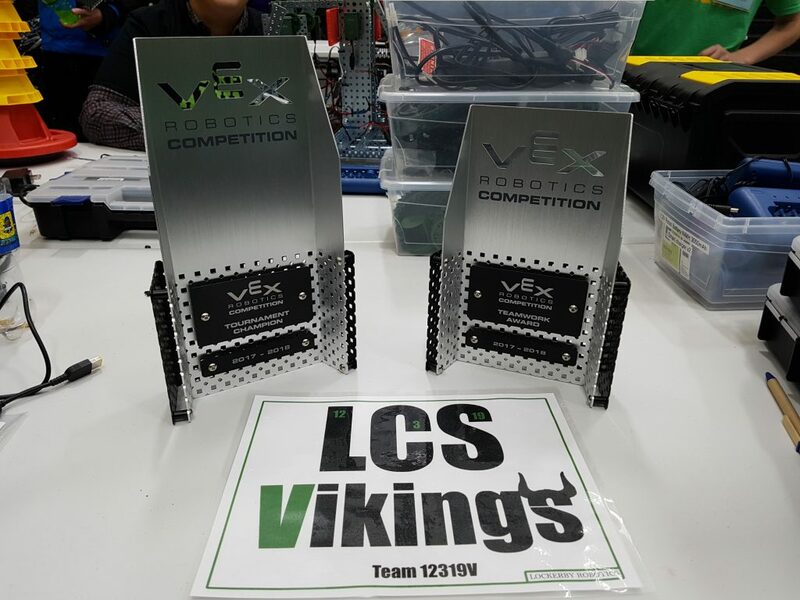 As a result of winning the tournament, Lockerby has received an invitation to the provincial Vex Robotics Competition in Saint Catherine on February 24th. The team is already back at the drawing board knowing the competition is about to get harder. We can’t wait! The team thanks event director Jonathon Budau and his organizing team for putting on such an amazing event and for providing so much help. We look forward to returning next year!